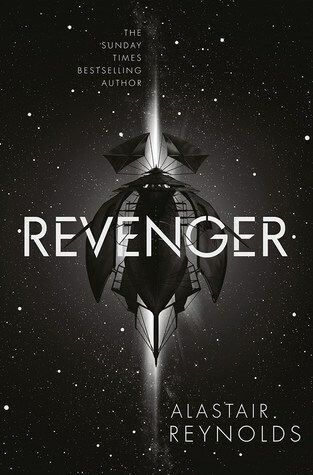 If I had to sum up Revenger, I’d have to go with something like ‘Firefly meets Iain M. Banks’. I think that’s a fair assessment, and if you’re a fan of either, I think you’ll enjoy this book. Those are easy comparisons though – the swashbuckling pirate adventure of a small ship and crew against a starry backdrop with enough hard SF to appease the most ardent fan. There are hijinks galore, treasure chests hidden in far-flung nooks, daring adventures and more than a touch of the high seas. Fura Ness makes for a fine and fiery protagonist with a lovely depth to her story, the world-building is absolutely first rate and some of the most fascinating I’ve read in a long time, and the supporting cast of characters is splendid. There’s a real YA feel to the story, given the age of Fura and her sister, though some of the coming of age angst and rebelling against tyrannical father-knows-best was perhaps the weakest part of the book for me. Revenger is splendid fun. Easily one of the best sci-fi novels I’ve read for a long time, and I really hope we get to meet Fura Ness again.